Originally, the Health Insurance Portability and Accountability Act (HIPAA) was created with the intent to prohibit any illegal usage of patient information. Valuable patient information is kept private and safe with HIPAA compliant medical transcription services. A HIPAA compliant medical transcription service provider guarantees that the patient records are handled with great care. There are many such medical transcription companies offering medical transcription services to multi-specialty hospitals, individual physicians, long-term care facilities, nursing clinics, rehab centers, acute care clinics and group practices in the US. To maintain the discretion of all assigned data, a dependable organization employs a group of experts well-trained in applying safety measures that preserve the c onfidentiality of patient information against unlawful leaks during data transfer. The internal team is thoroughly screened and background checked. Staff members are required to sign a confidentiality agreement, which states that legal action will be taken against those who commit a breach of confidentiality. Transcriptionists deliver the completed transcripts safely and in an appropriate time period. You can get transcripts for a variety of medical records such as patient history and physical examination reports, procedure notes, progress notes, clinic notes, consultation, health, laboratory, scan, operative and X-ray reports, discharge summaries, follow-up notes, and more. 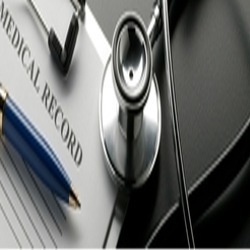 Reputable medical transcription outsourcing companies assume numerous safety measures to make certain that all medical records they handle are protected. When choosing to outsource your medical transcription needs, it is important to seek the services of an established medical transcription service provider that ensures total confidentiality for patient data.